Thank you for all of the support on my latest post, about trying out ‘full time blogging‘ – this isn’t to say that I am giving up on getting myself a design job, because I am still giving it my all. You all made me feel AMAZING about my decision though, I do have rather down moments about my blog a lot because there are SO many fabulous blogs out there, the comparisons and pressure sometimes can get a little bit too much. But it makes me smile a lot when I hear that you are in fact, actually rather excited about hearing from me more! I’ve been working on a few creative projects recently, some that I hope to share with you ASAP. I am also uploading my July Favourites onto my YouTube Channel this weekend, so make sure you are subscribed so you don’t miss out! Today’s post is A TASTY ONE, so I think it is a good job that I am currently stuffing my face with a ‘sharing bag’ of Tangy Cheese Doritos whilst I am writing this because my stomach is rumbling and roaring like crazy just looking back at these photos – apologies in advance! 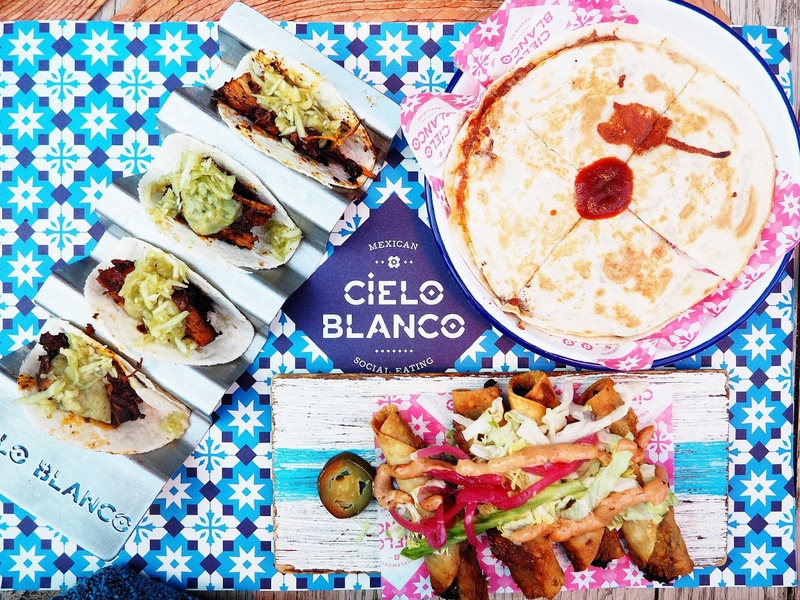 Cielo Blanco is one of all time favourite eating places in Leeds, and that is a big thing to say because Leeds has SO many food places, it is like a walking oven. Great food is even better with great company, and I spent my evening with the WONDERFUL Emma, one of the bestEST friends I made whilst at University. On arrival, we had a table booked for us inside the restaurant, but I made a request to sit outside…. and yes it was really COLD, but all I could think about was that I wanted the best possible light for my photos for this post – typical blogger! 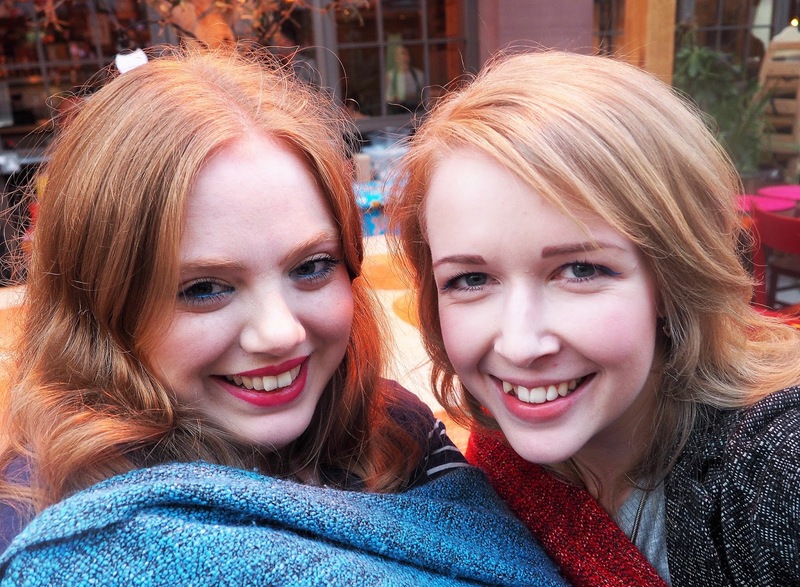 But the staff were really lovely and popped the heaters on, and gave us some blankets – win win! Even if we were the only ones outside looking crazy. I’m impressed with the photos in this post, so I like to say it was worth it?! Cielo Blanco have recently improved their menu this summer, which I am super pleased about – not only were there some NEW tasty additions, but also the previous menu was somewhat complicated to find the foods you were after – the new redesign is BEAUTIFUL, I absolutely love the geometric design, I couldn’t stop using it as a photograph background, can I buy one for my blog photos please? Oh nooooooooo I have finished my Doritos. I love that you are given complimentary tortilla chips and salsas here, we also ordered guacamole because DUH we are bloggers and bloggers love avocado. The red salsa is more smokey and the green salsa has a real kick to it – which I love, I just wish it was easier to scoop the dips onto the chips, the dishes are a little bit too shallow! I want to LATHER MY CHIP. The guacamole was creamy like it should be, I would perhaps like a little bit more spice in it, but mixed with the green salsa and you are ON POINT, also I think its a rather nice arty touch having the avocado stone in the guacamole – what do you think?! After a couple of cocktails it was TIME FOR THE FOOD. I didn’t get any photos of the cocktails…. I guess I got too excited and drank them a little bit too quickly, they are seriously generous on the booze here! I had the Watermelon & Pear Margarita, as well as the Strawberry Daiquiri. 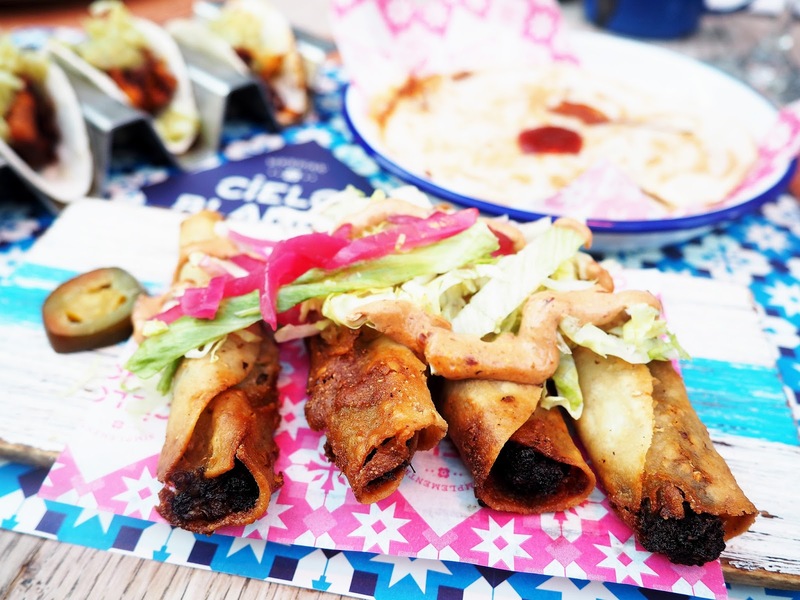 Emma & I decided to go for The Street Food Experience which I think is a great choice when you are looking to try lots of different little bits, it is surprisingly SERIOUSLY filling too! The idea is that you pick 6 items to share between two people and then TUCK IN! You have choices of Tacos, Quesadillas, Tostadas and more! The three I chose were the Chicken Tinga Tacos, the Ground Beef Quesadillas and the Wild Mushroom & Garlic Flautas. If I had to pick my favourite of these it would have to be the Chicken Tinga Tacos – I think Emma agreed with me, DELICIOUS. 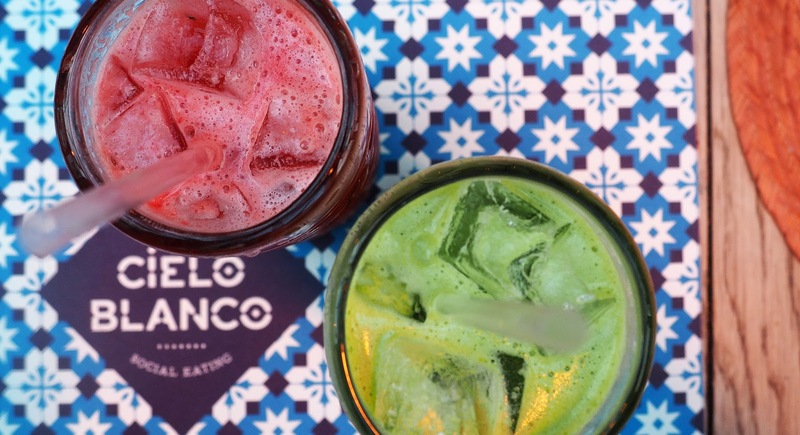 From other visits to Cielo Blanco I really really recommend the Barbecoa Chicken Sharing Board, the Enchiladas and Burritos are also fantastic – let’s face it, I pretty much love everything on the menu. We were unbelievably STUFFED, but we just HAD to have dessert didn’t we? 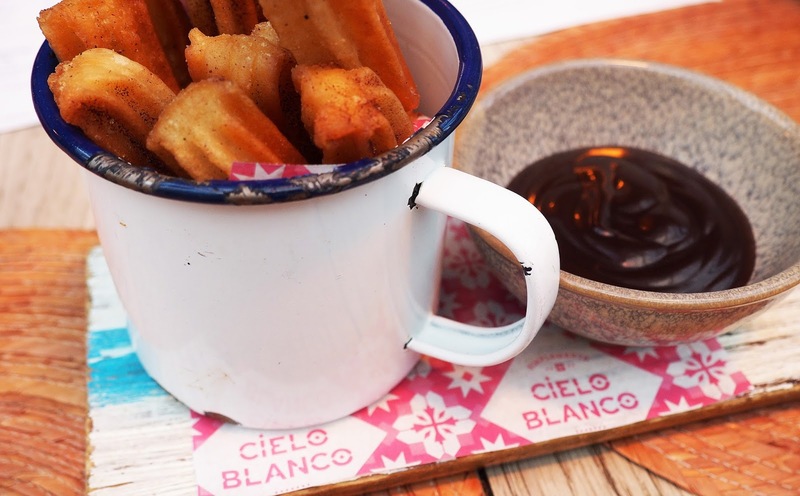 We couldn’t say no to Churros…. I have only have Churros from two different restaurants, but I would say the best ones are from here. The spices of the cinnamon mixed with the warm milky chocolate are just to DIE FOR. We also had one of their freshly pressed juices to cleanse our palettes, although this was kind of a mistake… as delicious as they were, LOOK HOW BIG THEY ARE! We practically rolled out of the restaurant that evening. I opted for the Cleanser, which was Watermelon, Strawberry, Pomegranate and Coriander. I known some people really hate coriander, so if you are one of those, this really isn’t for you, but I loved it. Hope you have some tasty snacks nearby! You are going to need them! 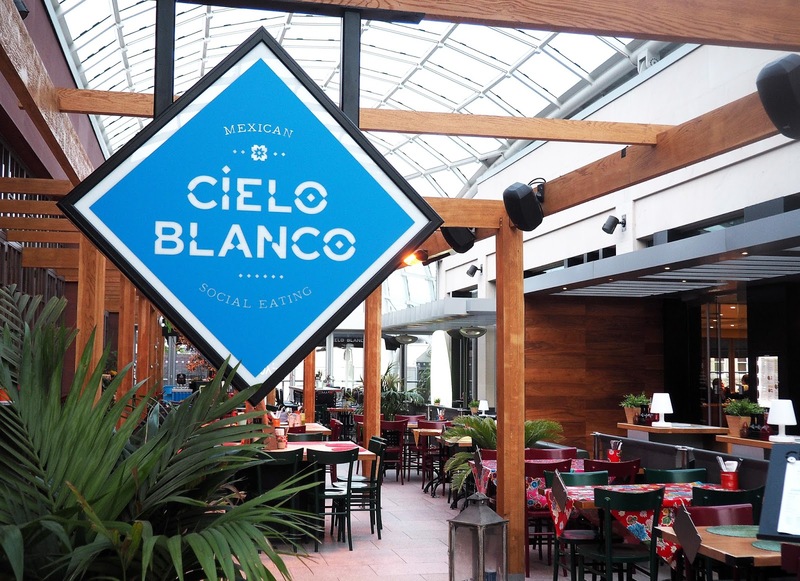 If you are ever in Leeds or Exmouth Market (London) then I completely recommend you eating out at Cielo Blanco. 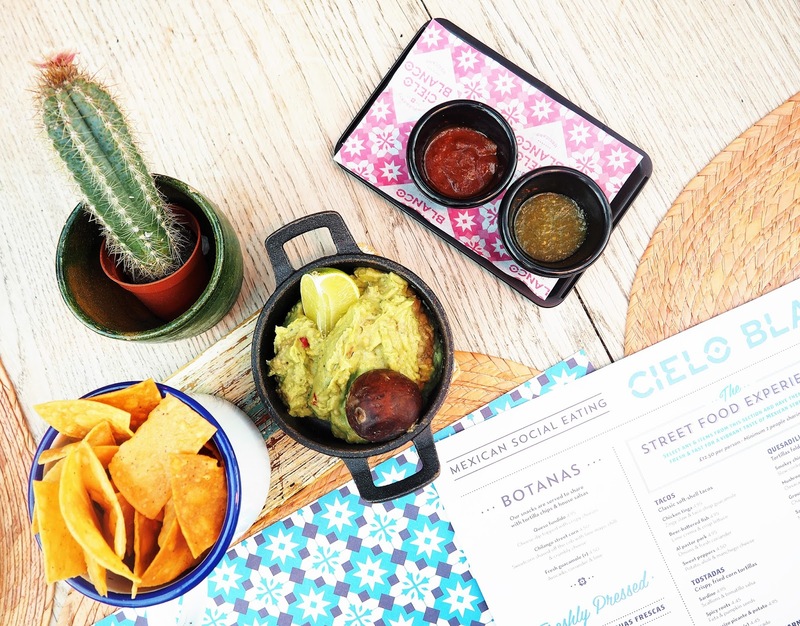 You are in for a treat, with the spicy Mexican flavours, seriously SERIOUSLY boozy cocktails, along with the happy merry atmosphere – it almost makes you feel like you are on holiday, especially when it is a beautiful day out on the balcony! 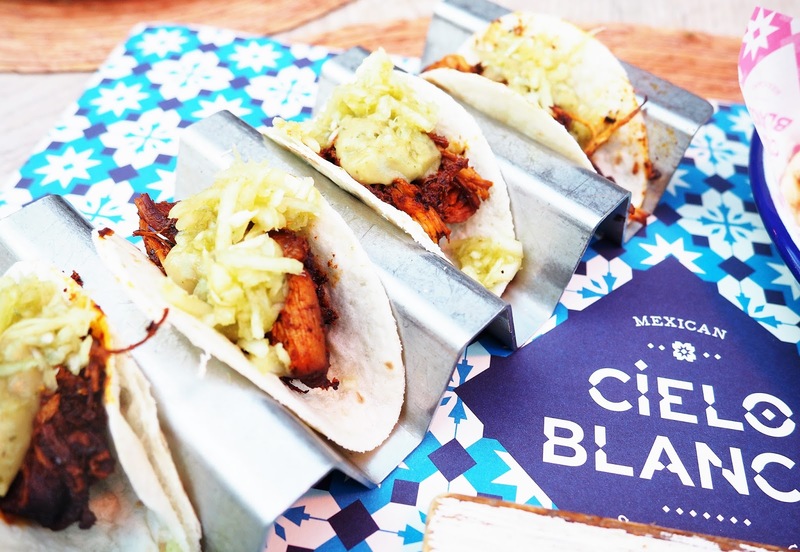 God I want to go to Mexico so SO badly, but this is an affordable way to seek out Mexican flavours – I will go there one day though! Next Post LIFESTYLE | What If? all that food looks crazy good! really really want that desert right now!! Ahh all this food looks so good ! I visited here over a year ago now and I found the service to be really bad, I'm hoping it has changed as I now want to visit again!